Over $300,000 is awarded each year to undergraduate music majors and talented non-majors who participate in School of Music ensembles. Talent Service Awards include Talent Grants and Tuition Waivers. Students who complete an audition on or before our Annual President’s Day Auditions will be considered for a contract. Talent Service Award Contracts reward students each semester, for up to 8 semesters, for their participation in multiple ensembles. Music scholarships are awarded annually to incoming and current students based on the criteria listed below. To apply for the following scholarships, students can visit the WIU Scholarship Website and fill out the University Scholarship Application. Applications open October 1. This account was established by Dr. Dorothy Blyler in memory of her parents. Dr. Blyler was a professor in the School of Music from 1949-1967. Awarded to a student who have been in the School of Music two years, has an overall grade point average of 2.5 or better, a 3.0 grade point average in music subjects, and who displays a professional attitude toward music as evidenced by participation in performance groups and service to the School of Music. The recipient will be selected by the School of Music Faculty and Talent Grand Committee. The scholarship was established by Rex and Ann Collins to further solidify the WIU Jazz Studies Program as the premier jazz program in the region. Ann Collins earned her graduate and undergraduate degree from WIU then taught in the School of Music for 29 years before retiring in 1997. She served as the Chairperson of the Department of Music for 9 years. This scholarship is awarded to incoming freshman demonstrating significant talent to the Jazz Studies Program faculty on bass, guitar, trumpet, trombone, saxophone, piano, or percussion. Student must participate in at least two School of Music ensembles. This account became known to the WIU Foundation in 1982 when Dr. Frank Beu, President Emeritus of WIU, gave his last will and testament that would provide funding to WIU for the creation of three funds. Dr. Beu was a Professor of Education and President of WIU from 1942-1957. The recipient must have at least a 3.0 cumulative grade point average, be a sophomore, junior or senior. Selection is made by the School of Music Faculty under the direction of the School of Music Director. 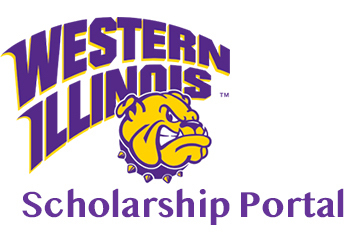 The Eller scholarship is to be presented annually to a junior student and member of the WIU Band program. The recipient must have an overall grade point average which would place the student in the top three grade point averages from all scholarship applicants. Selection is to be made by the School of Music Faculty and Talent Grant Committee. This award is $100 annually, and the scholarship is not renewable. This award is made to a junior music major in instrumental music education. Recipient must have an overall grade point average of 2.5 with a grade point average of 3.0 in music classes. Selection is to be made by the Scholarship Committee of the School of Music. The award is $200, and the scholarship is not renewable. Applicants for this scholarship should be at least a second year (or above) band member in good standing and should be able to demonstrate dependability, leadership qualities and service to the School of Music. The persons selected should maintain at least a 3.0 average or better while a full-time student at WIU, show potential for growth as a private instructor, band director, performer, or composer, and show some achievement and excellence in some area of instrumental music. Two awards of $900 each are given each year, paid in two installments. Selection is to be made by the Scholarship Committee. If any of the above criteria cannot be met (exclusive of the grade point average requirement), the selection committee is empowered to use its best judgment in making reasonable student selections. This scholarship was established as an endowment through the generosity of James Magsig. Jim was a Professor of Music at WIU for many years. The recipient(s) for this scholarship must be a student accompanist in the School of Music, be a Music major or minor in good academic standing, and demonstrate a record of outstanding work as an accompanist in either the School of Music or for entering students, in the student’s prior experience. Financial need can be a consideration. Selection is to be made by the School of Music Auditions/Talent Grant Committee with input from the Accompanying Coordinator in consultation with the School of Music Faculty. Newly entering students will be evaluated by the Music Auditions/Talent Grant Committee. This award may be renewed annually if the recipient continues to meet the award criteria. The recipient(s) for this scholarship must be an incoming freshman female Music major whose primary instrument is the piano. The award is based on performance as determined by audition, with academic record taken into consideration. Selection is to be made by the Talent Grant Committee with input from the keyboard faculty. The award varies year is to be paid in two installments. It can be renewed as determined by the Talent Grant Committee and Keyboard faculty. The recipient(s) for this scholarship must be an incoming freshman female Music major. Selection is to be made by the Talent Grant Committee with input from the vocal faculty. The award varies annually and is payable in two installments. The award is renewable subject to the decision of the Talent Grant Committee if the student continues to demonstrate merit and potential. The recipient(s) for this scholarship must plan on or be a Music major, and plan on participating in ensembles. Selection is to be made by the Talent Grant Committee, with input from the string faculty. The award amount varies each year and is payable in two installments. The award may be renewable up to four years if the student continues to demonstrate merit and potential. It is the expressed wish of the donor, the late Ms. Bessie Myers that the students receiving this scholarship, will be chosen for their financial need, their capability and proficiency in performance. Applicants must be a Music major. The award varies from year to year. Selection is to be made by the Talent Grant Committee, and the award may be renewed as determined by them. Upon retirement after a 36-year career at Western Illinois University, Western’s first trombone instructor, Dr. Hugo Magliocco, has established a trombone scholarship through the WIU Foundation. The recipient of this award must be an international student or an African American/Hispanic American student. The recipient must be entering the School of Music for the first time as a freshman or transfer student and must have auditioned for, won and continue to maintain a talent grant award through the School of Music. This scholarship will be used to supplement the talent grand award to cover tuition and fees. If the student is granted a full tuition award from the School of Music, this award will consist of an annual stipend as determined by the WIU Foundation based on resources available in the scholarship account. The scholarship is renewable for up to eight continuous semesters as long as the student remains a full-time music major and continues to study trombone each semester in residency. The student must maintain a GPA of 3.0 in music (excluding all ensemble grades), and a 2.5 GPA outside of music each semester. This account was established in 1980 by Dr. Robert J. Synovitz, WIU professor, in memory of his late wife Jane Lanier Synovitz.The Recipient of this award must be a junior woman with a grade point average of 2.8 or above, and outstanding vocalist, and a major in music. Selection is made by the Talent Grant Committee with input from the Vocal Music Coordinator. The Wanninger Foundation was established in 1984 by the children of Forrest and Mary Wanninger in recognition of their parents’ long dedication to the teaching of music and English. This award is rotated annually between the School of Music and Department of English. Scholarships are available to students whose educational careers were interrupted for at least two years and now have decided to continue their education. Candidates may be pursuing a baccalaureate or a graduate degree and must be a full-time student pursuing a degree in either education or liberal arts in education or performance with vocal music emphasis. Undergraduate candidates must maintain at least a 2.5 average and a graduate candidate a 3.0 average. Selection is to be made by the Talent Grant Committee. The award is renewable for one year if the minimum grade point average is maintained, with recommendation from the Talent Grant Committee. The scholarship was originally established in late 1977 by Dr. and Mrs. James L Conley in support of WIU Newcomers. Recipients must be a member of the WIU Vocal Jazz Ensemble, including band members. $1000 each year is given by the National Association of Music Merchants to one or two Music Business majors who have successfully completed four semesters of Music Theory, four semesters of Applied Study, Economics and Accounting, and possess a high grade point average. Recipients are expected to attend a NAMM trade show and must plan to intern in the music products industry. Application should be made to Courtney Blankenship and selection is made by NAMM. Applicants for this scholarship must be an undergraduate or graduate Music Performance or Music Education major with clarinet as their primary instrument, must demonstrate significant musical talent, and demonstrate financial need. Selection is made by the Talent Grant Committee. Continued growth and participation in the School of Music as a major will be part of the criteria for renewability. The Ruby Miller Raglin Memorial Scholarship in Music was established in 1999 by the Orpha Raglin Welke Estate to provide scholarship assistance to outstanding students in music performance. Applicants for this scholarship must be a music major, participate in performance groups, demonstrate potential to become a professional musician, demonstrate dependability, leadership, and service to the School of Music, and demonstrate outstanding musicianship. More than one recipient may be selected and the award amounts can vary. Selection will be made by the Talent Grant/Auditions Committee. Evidence of outstanding potential as a musician and co-curricular activities will be considered in awarding the scholarship. The scholarship can be renewed if the recipient remains a music major and continues to demonstrate outstanding musicianship. The intent of this scholarship is to encourage the attraction, retention and development of outstanding singers in the WIU School of Music. It is intended not only to attract vocal musicians, but also to encourage their continued vocal, musical and scholastic growth. It is further intended as an incentive for each of its recipients to strive to achieve the highest possible level of professional vocal musicianship. This scholarship was established in 2001 by Associate Professor of Music Emeritus R. Bruce Gardner and his wife Lila L. Gardner. Applicants for this scholarship must be an undergraduate or graduate Music major whose primary performing instrument is voice, and must demonstrate a combination of performance quality and perceived vocal potential. (If a choice must be made from among vocal and musical equals, preference is to be given to the tenor voice if applicable.) Eligibility is determined by audition for the studio voice faculty. Upon the discretion of the studio voice faculty, this may be renewed if the student remains a vocal Music major and maintains at least a 3.0 grade point average. This award is offered each year to a qualified percussionist at WIU. It is renewable for two years if the student meets the following criteria: 1. Eligible to apply for the award during or after the freshman year; 2. Must have participated in the WIU Steel Band for 1 year prior to applying; 3. GPA must be 2.75 or better; 4. Must demonstrate an interest in world music through performance and or participation in world music ensemble; 5. Must take an active leadership role in the WIU Steel Band and World Music Ensemble. Application forms are available from the School of Music and should be submitted for consideration by April 15 for the ensuing academic year. Awards are $500 per year for a total of two years, if eligibility is maintained. Selection will be made by the percussion faculty. The Shanklin Scholarship was established to honor Grant and Kathryn Shanklin, who were both active in the Macomb community through their lives. The selection of scholarship recipients will be made by the School of Music Talent Grant/Auditions Committee. The award is $500 per year and is renewable if the recipient continues to major in a music degree program and maintains a 3.00 cumulative grade point average. The recipient should demonstrate significant musical talent, enrolled in a music degree program as a major, earn a 3.0 grade point average or better, and be a sophomore, junior, senior or graduate student. Financial need may be considered. The Ann Collins Scholarship, established by Ann and Rex Collins of Macomb, will be awarded to a student who demonstrates significant musical talent in jazz piano performance. Applicants must be enrolled in a music degree program as a major or minor and maintain a minimum grade point average of 3.00. This $1,000 annual award can be renewed based upon the recipient’s continued growth as a musician and jazz pianist, if excellent service to WIU jazz ensembles is demonstrated. Selection will be made by the School of Music Talent Grant/Auditions Committee in consultation with the jazz faculty. This scholarship was established and funded by Rhoda Grass Butler. She enriched lives of many within the community and university since her arrival to Macomb, IL in 1969. She has worked as an active accompanist in the Macomb area for more than 40 years and as a staff accompanist for WIU School of Music from 1990-2002. The Butler Scholarship is open to juniors, seniors, or graduate level accompanists in the School of Music who have demonstrated a record of active and outstanding work as an accompanist in either the WIU School of Music, or for entering students, in the student’s prior experience. Music majors will be given priority. A GPA of 3.0 is required. This scholarship was established as a memorial to honor the School of Music’s late jazz professor emeritus, Dale F. Hopper of Macomb, Illinois. Applicants should be a Music major and demonstrate significant musical talent; must specifically exhibit interest and talent in jazz performance and excellent service to WIU jazz ensembles. Selection is to be made by the Talent Grant Committee in consultation with the jazz faculty. The Violet H. Poppleton scholarship for a female vocal music major was established in 2004 by her children, Terry Poppleton, Nancy Krey (WIU 1970, 1980), and Jill Zeitlin through the WIU Foundation. Mrs. Poppleton’s greatest love was music, and it is the family’s hope that this award will help a female voice major in the School of Music, not only to cultivate her musical talents, but also to foster the same passion for music which Vi Poppleton enjoyed throughout her lifetime. Selection will be made by the voice faculty in the School of Music. These annual scholarships reward undergraduate musical excellence in the areas of voice (baritone), horn and strings. The Reems were motivated to establish these scholarships by the extremely positive experience their sons, John and Dan, enjoyed while students at WIU. Moreover, the Reem scholarships reflect the esteem in which they hold the WIU School of Music in general and faculty members James Stegall, Randall Faust, and Richard Hughey in particular. Recipients must be currently enrolled, full-time WIU junior or rising junior pursuing a bachelor’s degree in music or a full-time transfer student entering WIU as a junior or senior and pursuing a bachelor’s degree in music. Recipients must have a minimum GPA of 3.0 and participate in the ensemble program. Selection will be made by a faculty committee convened by the Director of the School of Music. This scholarship was established by Sue and Brett Goad in memory of their son, Gene. Gene was born in Macomb, Illinois and returned there after high school to complete his Associate Degree from Spoon River College. Brett Goad, Gene’s father, graduated from WIU with both his bachelor and master’s degrees in choral music. Music played a big part in Gene’s life and this annual award was established to help a WIU junior reach their career goal to have choral music as their vocation. Recipients must be currently enrolled full time junior status pursuing a bachelor degree in choral music. Recipients must have a minimum GPA of 2.5 overall with a GPA of 3.0 or higher in music, and must participate in at least two WIU School of Music ensembles. This scholarship provides for one annual $1,500 award. This account was established in March of 2007 to create the Dr. Claudia McCain Music Business Scholarship Fund. Dr. McCain taught in the School of Music for over 20 years. This scholarship was established to support students who demonstrate outstanding qualities in work ethic, leadership, experience and knowledge or a particular field of music business, and involvement in the School of Music Ensembles. Recipients must be a senior, music business major and have a minimum GPA of 3.0. DR. TANYA LESINSKY CAREY SUZUKI FUND SCHOLARSHIP WIU Suzuki Strings Program has been granting scholarships since its inception in 1972. The origin of the funds was from the donation of free lesson fees paid by Suzuki families for Almita Vamos and Tanya Carey. In 1999, after the termination of the WIU Suzuki Program, the scholarship was renamed in honor of Tanya Lesinsky Carey. Recipients must be a music major on string instruments. This scholarship was established in 2011 by Randall and Sharon Faust in memory of Randall’s parents, Claire and Hazel Faust. Dr. Faust’s father was a musician and band director and his mother a local piano teacher. Together, they instilled in Randall a love for music and provided the direction that led Randall to the Horn (formerly known as the French Horn). Recipients must be a returning student pursuing a degree in music, currently enrolled in horn lessons (Mus 227, 447, or 527), have a minimum overall GPA of 3.0, actively participate in the chamber music ensembles, and support the WIU Horn Festival and outreach. The Illinois Federation of Music Clubs, as a member of the National Federation of of Music Clubs, voted at the State Board meeting to award a gift annually to WIU from the Golden Lyre Foundation. Recipient should be a music major who demonstrates outstanding musical talent. This scholarship was established in memory of Dr. hei Chu Kim by Hyung Ja Kim and her family to support graduate or undergraduate piano study in the Western Illinois University School of Music. Hei Chu Kim was born in Korea in 1931 and served in the Republic of Korea army for nine years. He received his Bachelor of Arts in Journalism at University of Illinois in 1961, his Master of Arts in Sociology at The Graduate Division of Queens College in the City University of New York in 1964, and his PHD in Political and Social Science from the New School for Social Research in New York city in 1973. Dr. Kim joined the Sociology Department at Western Illinois University in 1968 and taught until his death in 1978. His love for classical music, especially violin and cello, influenced his sons, Benny and Eric, to become professional musicians. Benny is a violnist and eric is a cellist. Hyung Ja Kim earned her undergraduate degree in piano performance at Ewha Woman’s University in Seoul Korea in 1957, her Master’s Degree in voice from Western Illinois University in 1972, and did post graduate study at University of Illinois. Mrs. kim taught at Western Illinois University in the music department from 1978 until her retirement in 2006. Recipients should be an international piano student. Preference is given to Korean students. After having taught for 35 years, Charolette Megginson established the Charolette Megginson Endowed Scholarship as a gift to show her love for performing and the students whom she taught at WIU. Seeing the need for supporting young singers and believing in the School of Music at WIU, she wanted to give back to the students who are actively performing at WIU, in the Macomb community and other venues.